Special ring is a Cat 3 single rocket that will simply stun the spectators with its beauty and its noise. 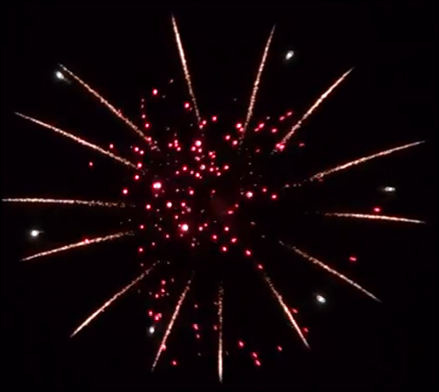 A single shot bursts into a huge golden ring with silver stars and a touch of red to it! It is absolutely spectacular and will be easily become a fan favourite once you unleash it into the skies!